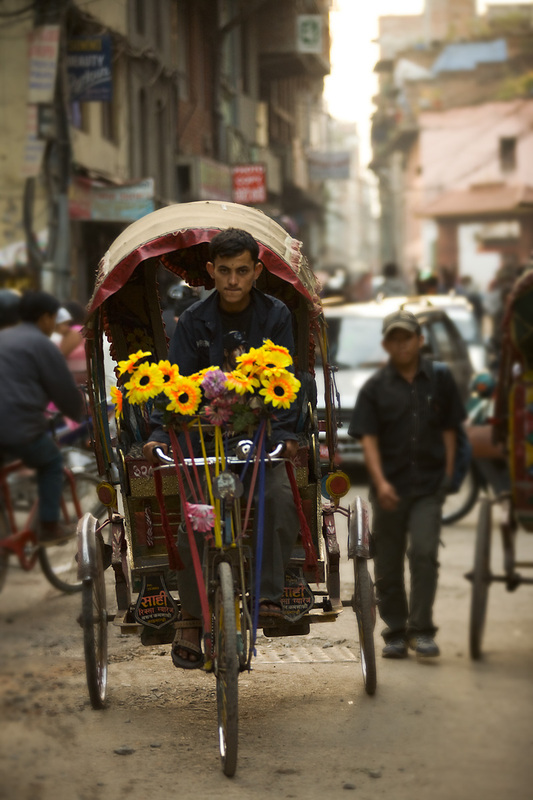 A flower-decorated cycle rickshaw rolls down a poorly paved road in Kathmandu. If you're just joining us today, I take a break from photos of the country I'm currently traveling to bring you a weekend of archived photos. Tune in Monday if you're interested in photos of India.